This review will provide specs and features for the Tracfone UNIMAX 671c MaxPatriot, as well as a comparison to other phones available, and is provided by TracfoneReviewer. The UNIMAX MaxPatriot is an Android powered smartphone offered by Tracfone Wireless for use on their prepaid cell phone network. Tracfone offers a variety of phones and prepaid service options, which you can learn more about by reading our Beginners Guide to Tracfone. Tracfone continues to release smartphones running the Android Operating System. These phones provide more features and functionality, with the ability to download and use applications on them. Not a lot of information is available about the UNIMAX company, or sometimes UMX Mobile. They appear to be based in China, and are expanding into the Android mobile phone market quickly. Quality may not be quite on par with more established brands like Samsung, LG and Motorola. The UNIMAX MaxPatriot comes with a 4" screen, Android 4.1, and a 5 MP camera. You also get Triple Minutes for Life, which all Android phones from Tracfone come with. There are several other options for smartphones with Tracfone, including the Tracfone BYOP program, where you can bring certain phones to use with Tracfone. Also take a look at our Tracfone Android List for a complete of the smartphones available through Tracfone. Some of the current top phones from Tracfone are the LG Ultiamte 2, Moto E, and Alcatel Onetouch Icon Pop. We will briefly compare these with the MaxPatriot a little further on. Let's jump into the features and specs on the UNIMAX phone. Size: 4.80" x 2.46" x 0.41"
The features are fairly straight forward and similar to many of Tracfone's other Android devices. The UNIMAX has WiFi, Triple Minutes for life, Micro SD card slot, GPS, and more. The technical specs are where we get a little disappointed. The MaxPatriot comes with a 4" touchscreen, which larger than some other Tracfone devices, but smaller than some as well. The Dual Core processor sounds good, but the internal memory is very disappointing, with only about 1 GB actually usable. Some apps can be loaded on an external SD card, but we would still like to see closer to 8 GB. The LG Ultimate 2, for example, has more than 4 GB internal memory. Before we get ahead of ourselves, let's go over some of our likes and dislikes about the UNIMAX, and then we will compare it with some other phones. The UNIMAX 671c has many of the standard features of an Android smartphone with Tracfone service. We like that it comes with the Android OS, which allows users access to over a million apps. These apps have huge potential, and give the phone many added benefits and features. Take a look at our List of the Best Apps for Tracfone Android for some ideas. While it is great that the MaxPatriot has Android, it isn't the latest version. The screen size is another good point for the phone. At 4", it is mid-sized in the Tracfone lineup, which will be exactly what some users are looking for. Not everyone wants a large phone, although it is nice sometimes. The LG Optimus Fuel, for example, has a smaller, 3.5" screen while the Alcatel Onetouch Has a much larger screen, at 5". We do think that the price, listed at $70, is more or less reasonable. And it is likely to be available for much less online, which makes this a very affordable phone. Let's move on to our dislikes for this phone, of which there are a few. We do have a handful of grips against the MaxPatriot, partially because it is an older phone, and there are much more advanced phones currently available with Tracfone. The rear camera on the UNIMAX has 5 MP, which is good. But it doesn't have a front facing camera, which we find disappointing. Internal Memory is probably one of our biggest disappointments with the UNIMAX MaxPatriot. At only 1.5 GB total internal space, and less than 1 GB actually usable, we're not sure how useful this phone will actually be for most people. Unless you can move a large number of apps to the external SD card, you will be limited in your options. Battery life seems poor on the UNIMAX, with 7 hours talk time listed, but often even less actually achieved. The Moto E, which has great battery performance, has more than double the talk time of the MaxPatriot, at 16.5 hours. If you can stay close to a charger, then it isn't a worry, but otherwise you may look elsewhere. Finally, we've noticed a number of consumers echoing dissatisfaction with the overall quality and design of the phone. For some users, it works great, but others report various bugs, or a completely dead phone after just a few months. The UNIMAX MaxPatriot has some decent features, but it doesn't seem to be a phone that will be too popular. We want to highlight some important points about using an Android phone with Tracfone, that you might not be aware of. First, All Android phones with Tracfone currently use Verizon CDMA cell towers. Tracfone has some sort of contract with Verizon. This means that if Verizon service isn't available in your area, then you can't use a Tracfone smartphone there either. All Tracfone Android devices come with Triple Minutes for Life, and minutes are split into three pools: calling, texting, and data. For more differences and information, read our post on the 6 Major Differences Between Android and Non-Android phones. And if you just want to learn about how minutes work, take a look at How Tracfone Minutes Work on Android Phones. 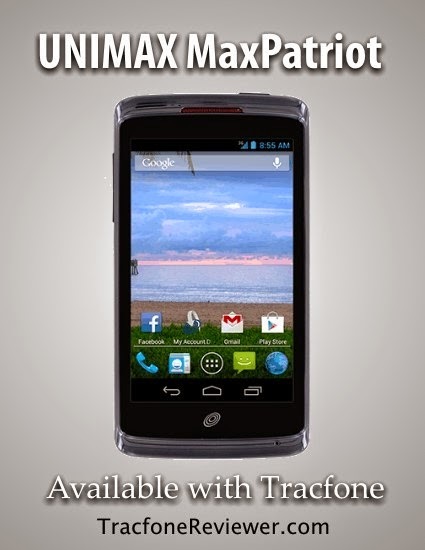 We will quickly compare the UNIMAX to some of the other popular smartphones available with Tracfone. Basically, the Moto E, Alcatel Onetouch Icon Pop, and LG Ultimate 2 are all better than the UNIMAX MaxPatriot. They all have larger screens, similar or better processors, more internal memory, similar or better cameras (and front facing), newer Android OS, longer battery life, and more, compared to the UNIMAX. The only area where the MaxPatriot has an edge that we can find, is in it's lower initial retail price. But if you compare the UNIMAX to the LG Optimus Fuel, which can be found for $20, we would go with the Optimus Fuel for the lower cost, and newer Android OS. If you want to know our top choice in Tracfone devices, take a look at TracfoneReviewer's Best Tracfone Device. As you can probably tell, we don't find the UNIMAX to be a very inspirational phone, and there are other options which will be a much better choice for most consumers. However, it is probably better than some of Tracfone's first Android devices, like the ZTE Valet, and LG Optimus Dynamic. The MaxPatriot is available on the Tracfone website, and in some stores. We haven't found it on other online retailers yet. Please read the comments below before you consider this phone, as many users are reporting a lot of dissatisfaction with this device. We strongly recommend choosing another device, as there are plenty of other Android options from Tracfone at a similar price, with much better performance. Take a look at the interactive tutorial to learn more about how this phone works. We hope this information is accurate and useful. Leave a comment below with your thoughts or questions about this phone. Also take a look at some great Sales and Discounts on Tracfone Devices. And don't forget about Smartphone Covers and Cases, which can go a long way in protecting your phone! Which Tracfone Device is the Best? 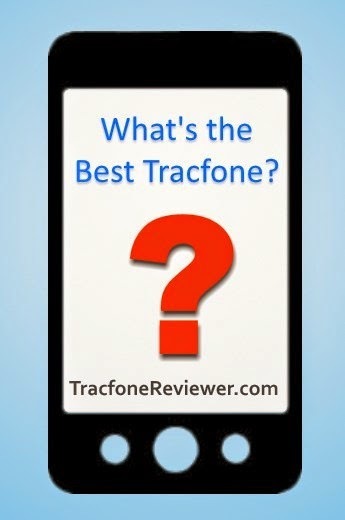 This a popular question here on TracfoneReviewer, and we will share with you which Tracfone smartphone is the best overall phone, as well as compare it to the other options available. Note - This post is a little outdated. Visit our List of the Best Tracfone Cell Phones (2017) for a more up to date list. Tracfone has released many new phones over the last year for use on their wireless prepaid network. This includes mostly Android powered smartphones. And we're expecting them to continue to release newer and better phones. It is also possible to bring your own phone to Tracfone. This opens the door to many more devices, although it is still somewhat limited. Visit our Tracfone BYOP page for the full list of phones. With all these different devices, sometimes we just want to know which one is the best phone to buy? TracfoneReviewer's pick for the best phone as of January 2015 is the LG Ultimate 2. Before you jump to the comments section and post why it isn't, we do want to say that the LG Ultimate 2 isn't the best phone for everyone. It has certain features that make it the best phone for most people. So we will compare the LG Ultimate 2 with several other phones, which may be better options for you, including the Alcatel Onetouch Icon Pop, Moto E, and Moto G and share why the Ultimate 2 wins overall. The LG Ultimate 2 has a lot of great features that put it well beyond many other Tracfone devices. But there are some other recent phones which have great features as well. We will be quickly covering some of the other best phones currently available from Tracfone, and hopefully giving you a better idea about what each phone offers, and which one might be the best for you. The Alcatel Onetouch and Ultimate 2 were each released about the same time, in November 2014. They each offer a lot of great features, with several similarities like Android 4.4, 5MP rear camera with front camera (and autofocus), 1 GB RAM, WiFi, GPS, etc. But there are also some key differences which we will go into now. One of the most obvious differences when comparing these phones is the size difference. The LG Ultimate 2 has a 4.5" screen while the Alcatel has a larger, 5" screen. However, the Ultimate 2 has a higher pixel density, so images might look slightly better on the Ultimate 2. For processing power, these two phones are fairly similar with the Ultimate 2 using a 1.2 Ghz Dual Core and the Alcatel using a 1.2 Ghz Quad Core. The extra cores on the Alcatel Onetouch help it keep up with the large screen, and increase its multitasking ability. Now for a major difference that isn't always clear. The Alcatel Onetouch comes with about 2 GB of usable memory on the phone to store apps and other information. The Ultimate 2 has closer to 5 GB of internal storage. Both phones also have external memory slots, but not all apps are transferable to external memory, and it is usually nice to have more space for storage. So as you can see, both phones offer great features, but in our opinion the LG Ultimate 2 is the better phone overall. But if you want the largest screen, go with the Alcatel and you won't be disappointed. The Moto E was also released about the same time as the LG Ultimate 2 and shares some similar features like 1.2 Ghz Dual Core processor, 1 GB RAM, 5 MP camera, Android 4.4, WiFi, GPS, etc. Yet it lacks some important features, like a front facing camera or autofocus. The Moto E also has a smaller screen, at 4.3", but with greater PPI. The Ultimate 2 beats the Moto E on internal storage, with the Moto E only coming with around 2GB of usable space. Both phones have external SD card slots. Where the Moto E does excel is in battery life and performance. It is a well made phone that can keep up with almost all modern apps and any other requirements, and easily last the full day on moderate to heavy use. The LG Ultimate 2 also does well performance and battery wise. In the end, the Ultimate 2 wins because of the features the Moto E just doesn't come with. Yet the Moto E is a great choice for those who don't need to take selfies, and don't need a lot of space for apps. Well, the Moto G sounds familiar right? It should, because it is the big brother to the Moto E, and improves over that phone in many great ways that put it on par with the Ultimate 2, such as 5 MP rear camera and 1.3 font camera with autofocus, 1 GB RAM, Android 4.4, 4.5" touchscreen, WiFi, GPS etc. Before we get further, one major difference between these phones is that the Moto G only can be used with the Tracfone BYOP program, which means you have to find a phone that was previously used on Verizon, and then go through a process to activate it on Tracfone. For some, this has been an easy process, for others it has been much harder. The Ultimate 2, on the other hand, is activated normally with Tracfone, as you would any other Tracfone branded device. Now for some more key differences. The Ultimate 2 comes with 6 GB of internal spaces, with over 4 GB of it usable. The Moto G has 8 GB, with over 6 GB usable. However, the Moto G does not have an external SD card slot, so no extra memory can be added. The screens for both phones are the same size, but the Moto G has a much better screen quality and resolution, at 720x1280, with the Ultimate 2 using 800x480. For processors, both phones have 1.2 Ghz, but the Moto G processor is Quad Core and the Ultimate 2 has only a Dual Core. The Moto G has a slightly newer processor and graphics, making it better at handling the latest apps. Battery life for both phones is very good, but the Moto G has been crafted specifically with power saving in mind, leading to a full charge easily lasting two days with low to moderate use. The Moto G beats the LG Ultimate 2 in many categories, yet we have a hard time giving it the top spot because it isn't as easy to find and activate, which is a big factor. In the end, the LG Ultimate 2 is close or even with the Moto G on many features, but is easier to use with Tracfone, and has the ability for extra memory. It's a close call, but we choose the Ultimate 2. If you're looking for the best specs, go with the Moto G on Tracfone BYOP (and that post will help give you the information you need to make it happen). We hope you found this comparison useful, and that it helped answer your questions. If you have more questions, or wish to share your opinions, use the comment section below. For a complete list of all the smartphones available from Tracfone, visit our Android Tracfone List. You will also be able to compare key features from each of the phones to help you choose the best option that fits your needs. Visit the Cell Phone Reviews page for an index of all our reviews and a great place to start when shopping for a phone. Finally, we recently completed a Beginners Guide to Tracfone, which shares a lot of useful tips and information and may be helpful even if you've been with Tracfone for a long time. Note: This post is a little out of date, and Tracfone has changed their website. We will be updating soon! Have you ever wanted to use a promo code, but you weren't sure if it would work? Or have you actually used one, but it was expired so you didn't get any bonus minutes? Avoid missing out on these bonus minutes by using this simple method for adding a new phone card to your TracFone Prepaid Phone. Android phones are not supposed to receive bonus minutes, but many of our readers report successfully adding promo codes to get bonus minutes. Enter Your Promo Code at TracFone.com and Test up to 3 Different Promo Codes! 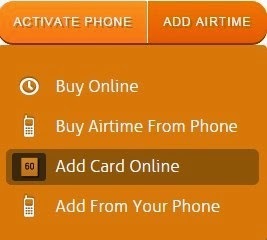 Click 'Add Airtime' in orange at the upper right side of the screen, then click 'Add Card Online' from the drop down menu. This will bring up a popup window, where you can enter your Airtime PIN, Telephone number, and Promo Code. Sometimes you will be taken to a new page where you can enter this information. If your first code doesn't work, a message should pop up and say that it is expired, etc. You are then able to try a different promo code. You can try up to three promo codes. On the third try, whatever pin/promo code combination you have used will be processed. If that promo code is expired, then you won't get any bonus minutes. So always make sure the third promo code you enter is working. You can end the transaction before entering the third promo code, allowing you to restart the process and not miss out on getting some bonus minutes! Using this method allows you to try one or two codes that might be expired without missing a chance to get bonus minutes. Be sure to check out our list of TracFone Promo Codes to find a few to try next time you add minutes to your phone! Tracfone GSM vs CDMA Phones - What's the difference and why its important for you to know. Android Tracfone List - See all the Android phones from Tracfone in one place! Tracfone BYOP - All the information on the new 'Bring Your Phone to Tracfone' program including requirements and a compatible phone list. Thanks for visiting, leave a comment with any questions or thoughts. Every month TracfoneReviewer lists the latest promotional codes from Tracfone here for your convenience! We hope you enjoy the free minutes, and Happy New Year! New Promo Codes for January 2015! Tracfone is a prepaid wireless cell phone company with low cost phones and service options. They also provide promo codes which can be entered when purchasing minutes for additional free minutes! The codes are for specific minute card amounts, but will work with any higher card as well. So a code for a 60 minute card will work with any other card of greater value, like the 120 minute card or 200 minute card. If you're new to Tracfone, or want more of an explanation about what Tracfone offers, visit our new post, the Beginners Guide to Tracfone which includes lots of helpful information to get you started. We collect these codes from around the internet and provide them here for everyone to use without anything you need to do or click. Please note that these codes won't work with any Android Tracfone devices, which is unfortunate. But the Android phones are really great, and come with some impressive features. Take a look at the Android Tracfone List, which is where we have shared all the Android smartphones in one location so you can easily compare them. The top choices for Android phones from Tracfone right now are the LG Ultimate 2, Moto E, and Alcatel Onetouch Icon Pop. Well, let's get to the codes for January! Use these codes when you add airtime to your phone. Bonus Minutes don't work on Android phones. Also remember that the codes will work for a certain card, and any card of greater value. 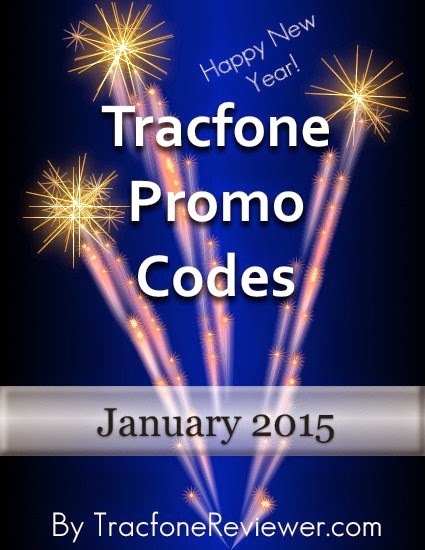 These are the latest Tracfone codes for January 2015. We hope you find this useful, and get some free minutes! Leave a comment below if you use one of the codes, and let us know how it worked! View the full list of codes on our main Tracfone Promo Codes page. We've got lots more great information about Tracfone here on the blog, so take a look at some of these posts and see if they interest you! Check out our list of 5 Great Deals and Sales on Tracfone Devices for 2015! Learn about the possibilities of using phones like the Moto G and iPhone 4S with Tracfone on the Tracfone BYOP page. See our list of the Best Android Apps for Tracfone users, and add your suggestions. Lastly, if you're in need of a cover or case for your phone, we're working on a list of Tracfone Covers and Cases. Thanks for visiting, and join us on Facebook to keep up with all the latest!